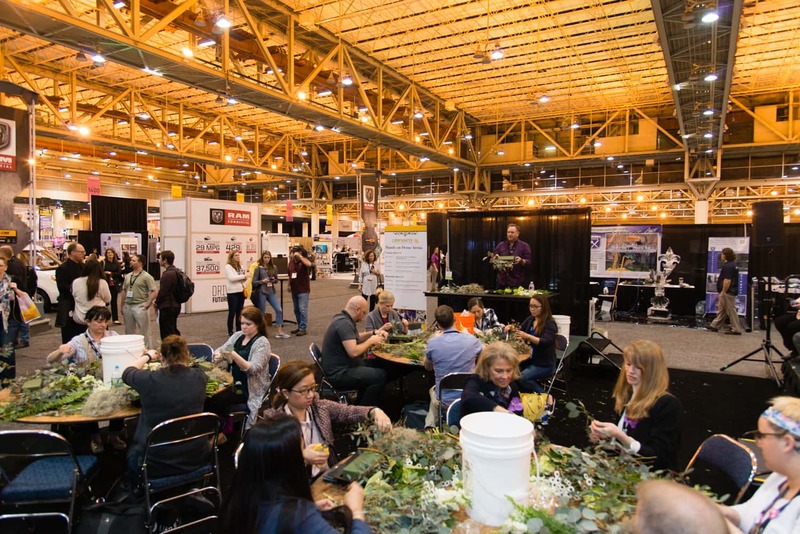 This year's Catersource event took us to the vibrant city of New Orleans, and we had a blast! NOLA designer Kim Starr Wise used our line of Mayesh Luxe Blooms to create a gorgeous booth inspired by a Parisian boutique, and local rental company Pret a Fete provided us with gorgeous furnishings to help bring Kim's vision to life. 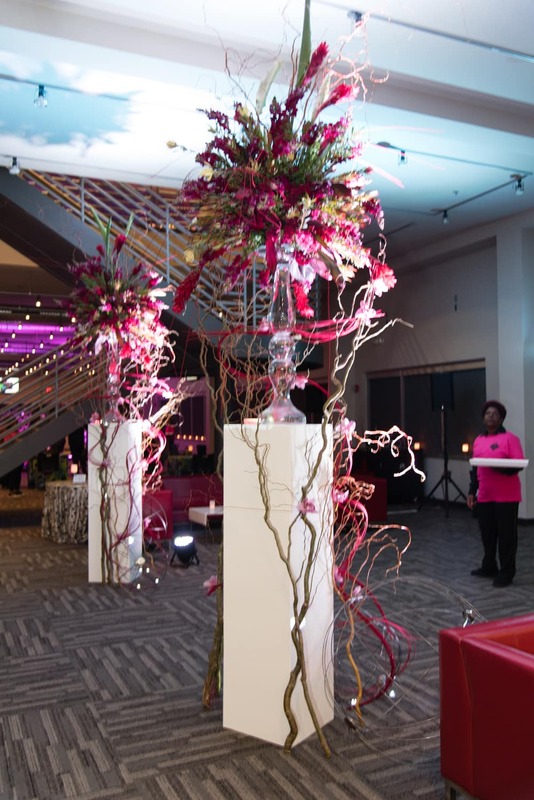 Here are a few images of our team & booth, followed by images of our flowers being used throughout the event! Please DO pick the daisies! 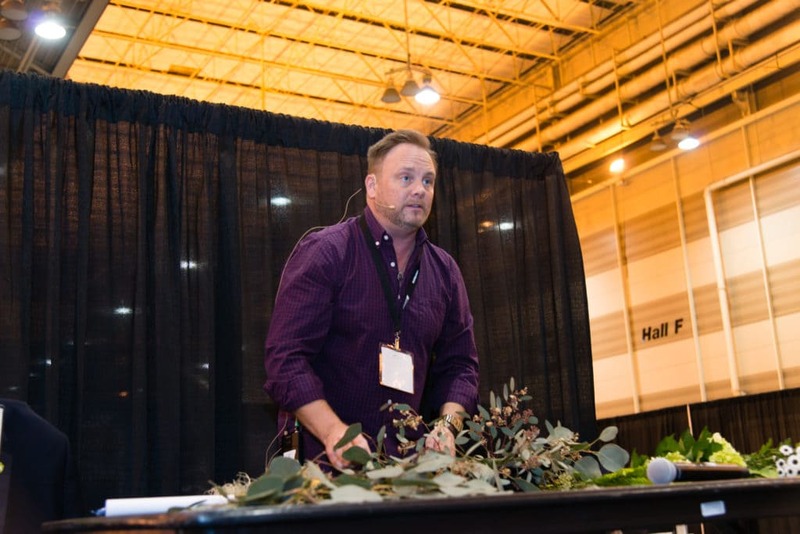 Senior Wedding and Event Designer, The JDK Group David Everett shows attendees how to create attractive and inexpensive centerpieces in the Hands-on Arena at CS2017 in New Orleans. 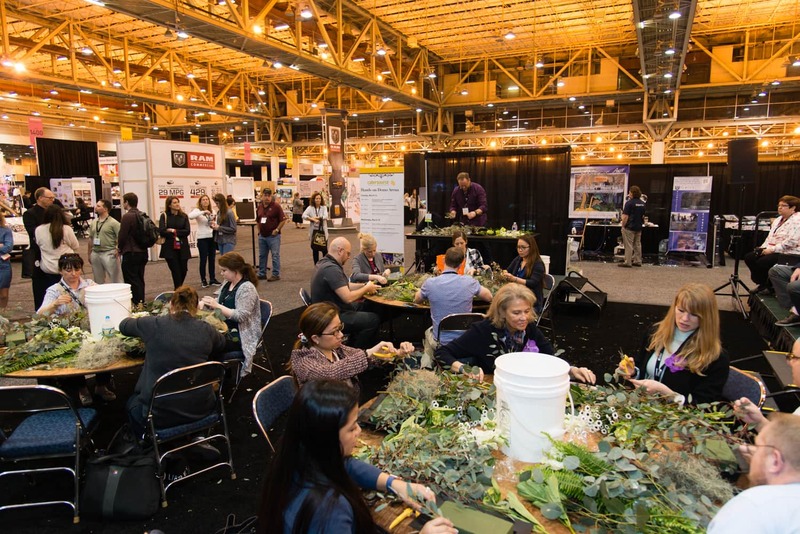 CS2017 attendees play with all of the great florals and stems provided by Mayesh. Expensive floral stems are not required to make a floral arrangement attractive. 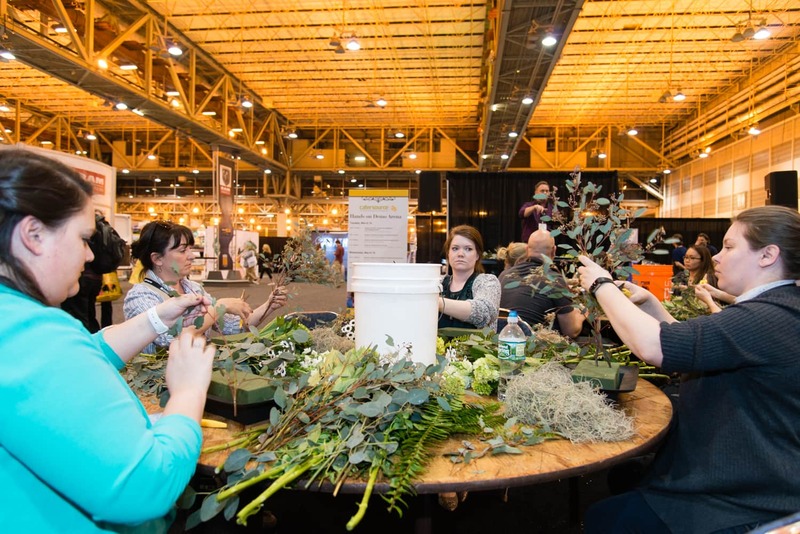 In this hands-on session at the CS2017 tradeshow attendees learned how to use inexpensive stems such as ferns, daisies, and eucalyptus to create attractive centerpieces. The designer extraordinaire himself, David Everett Senior Wedding and Event Designer of The JDK Group. We love him! 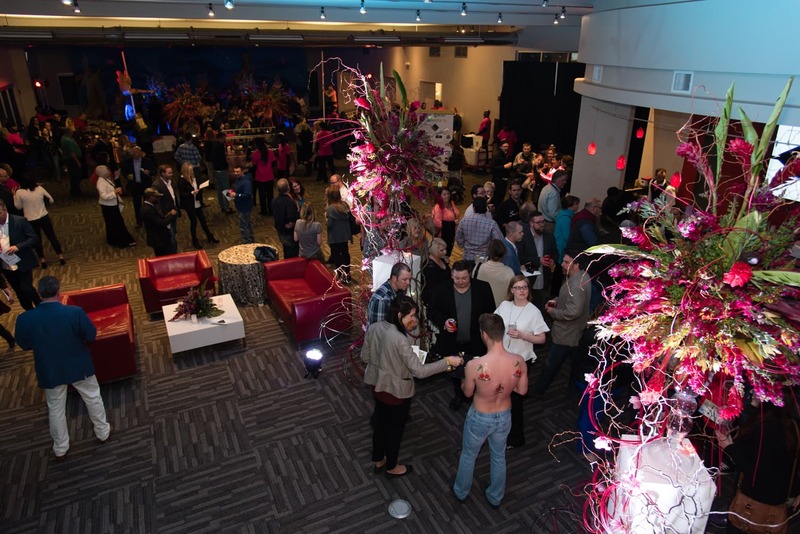 These bold arrangements made a huge statement at the Tour de Lis Party held at Nola Motorsports Park for Catersource 2017 attendees. 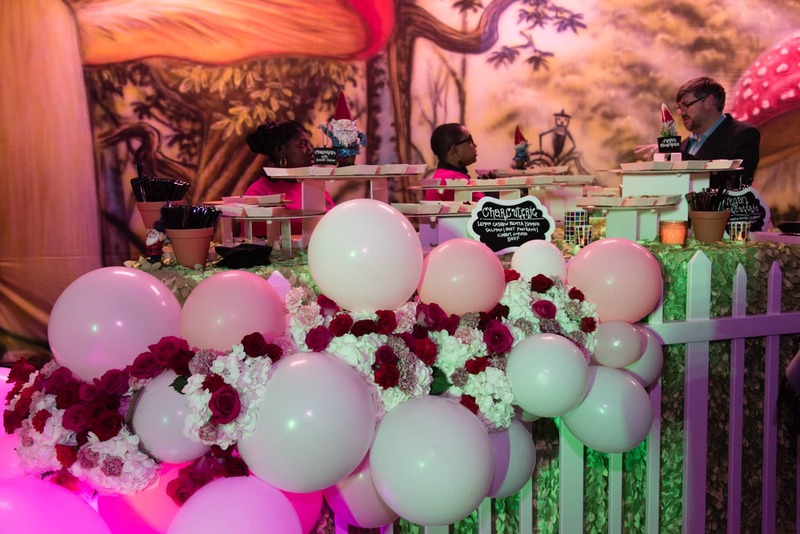 This playful mix of florals and balloons added oomf to this darling garden themed station at the Tour de Lis Party. Wowza! 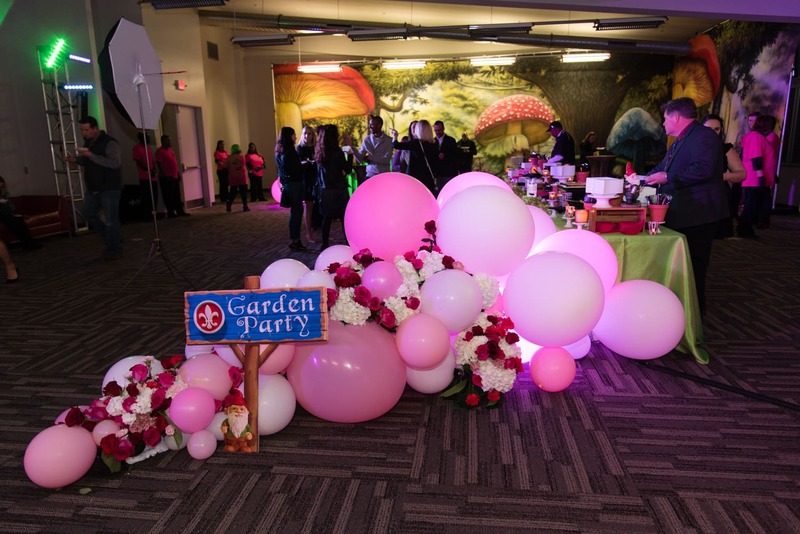 the Team at Catering Creations of Omaha, NE was incredibly creative in their use of florals in this whimsical garden themed station at the Tour de Lis Party at Catersource 2017. 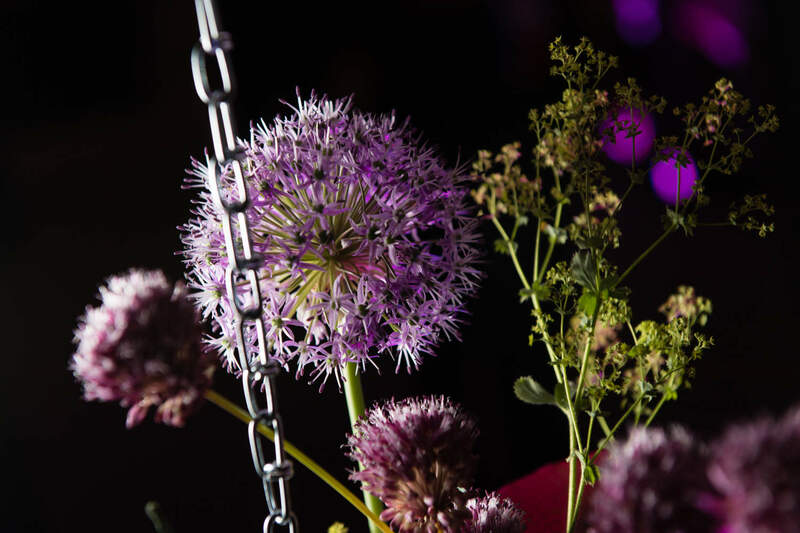 Shots from above of these gorgeous arrangements at the Tour de Lis party at Catersource 2017! 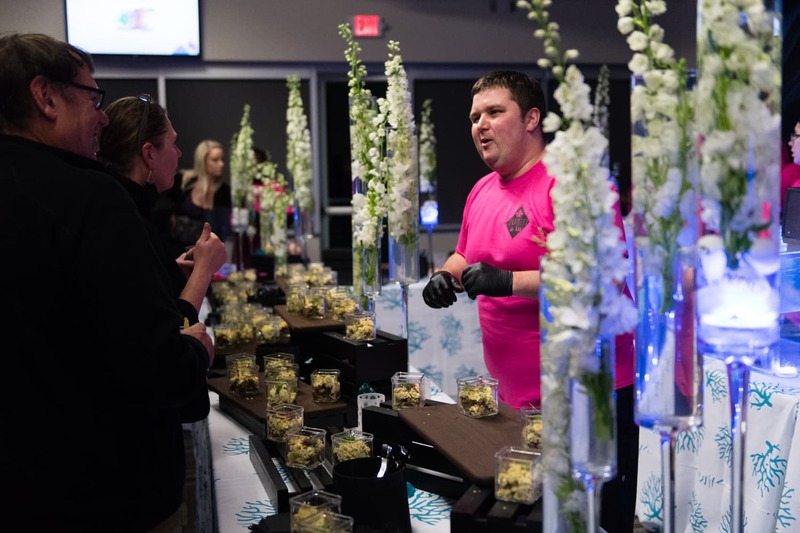 No food station is complete without beautiful florals but Catering Creations of Omaha, NE took that to new levels with this innovative structure for their "Pipe Dream" station at the Tour de Lis party at Catersource 2017. 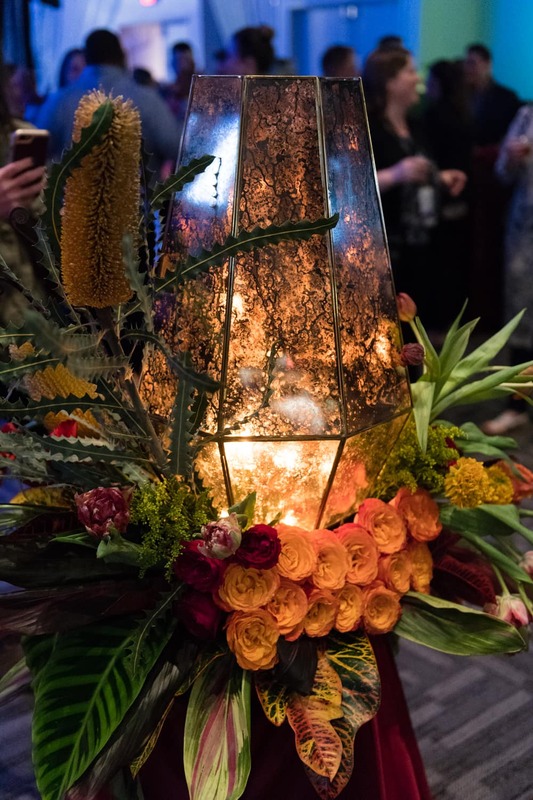 Close ups of these gorgeous Alum blooms at the Tour de Lis party at Catersource 2017! 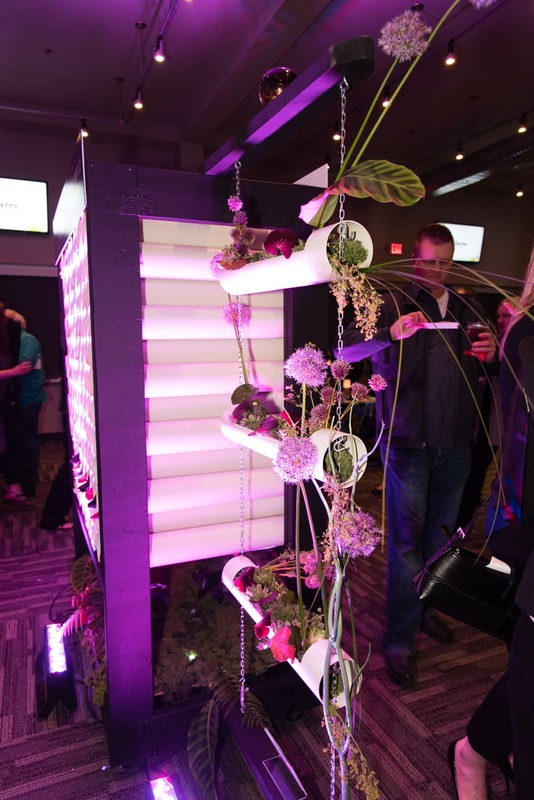 The garden themed station at Tour de Lis featured a floral adorned mini bridge fit for a garden gnome. 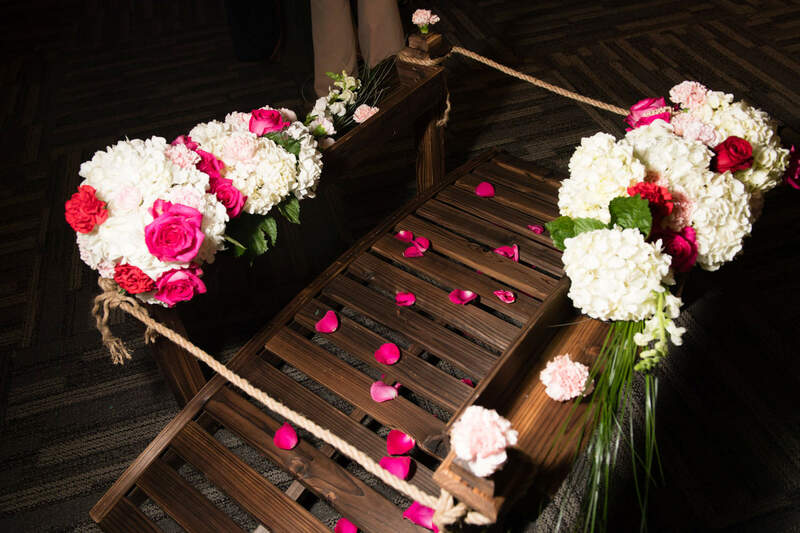 Beautiful arrangements like this one featuring Mayesh florals enhanced the atmosphere for Catersource 2017 attendees at the Tour de Lis party. 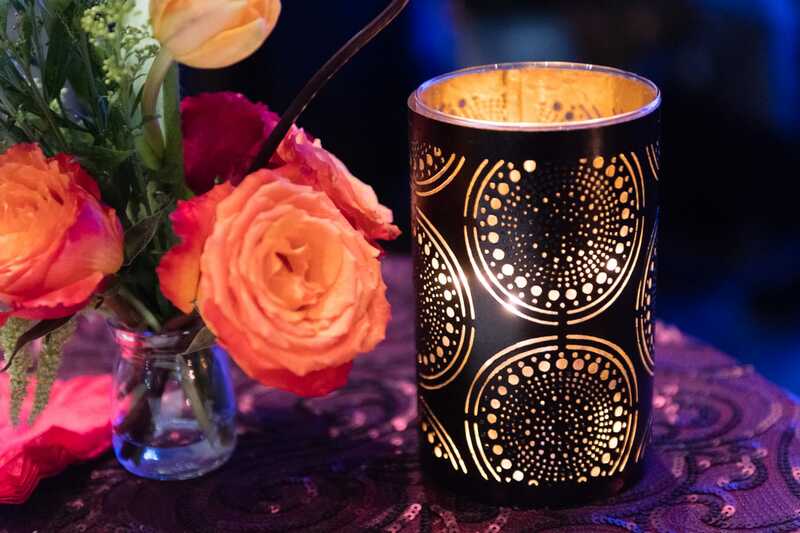 Miniature tabletop floral votives at Tour de Lis provided big pops of color. Floral Stems submerged in water add to the underwater theme of this station at Tour de Lis.